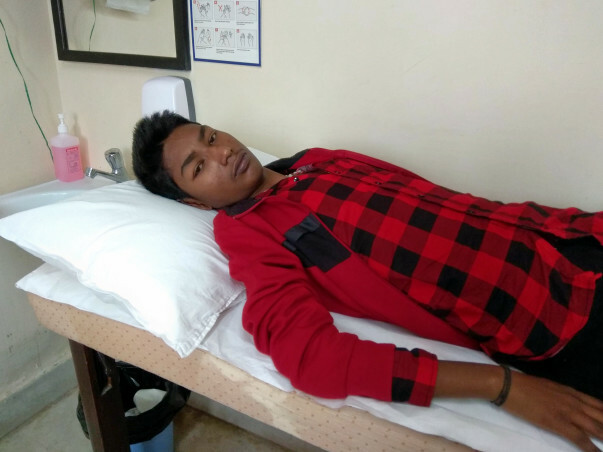 Since 14-year-old Lokesh was a baby boy he was diagnosed with a severe heart disease called Congenital Heart Disease. It is a heart defect that forms at birth and needs to be treated urgently. At the age of 2 years, Lokesh was asked to undergo a heart surgery. Recently he began showing symptoms of vomiting and severe fatigue and has been asked to undergo a heart surgery in order to treat his condition. 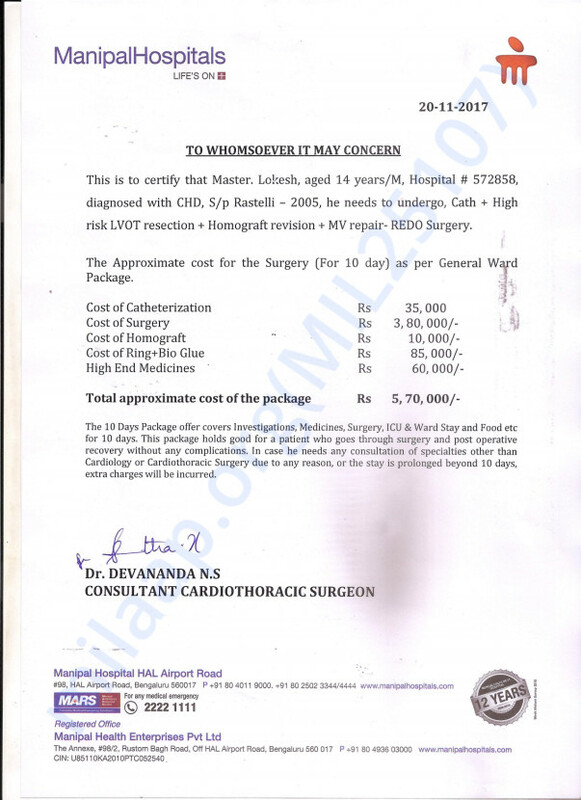 The total cost of the surgery is around 5 lakh Rs. This is far too high for Lokesh's father, Pillayya, to afford and he needs our help. Your contribution can save Lokesh's life.